A respected surgeon and author of Final Exam, Pauline Chen puts her practice to print in her popular New York Times blog as she examines the relationship between doctor and patient. Chen's moving lectures, much like her book, convey a larger medical message by weaving together descriptive stories of her patients. 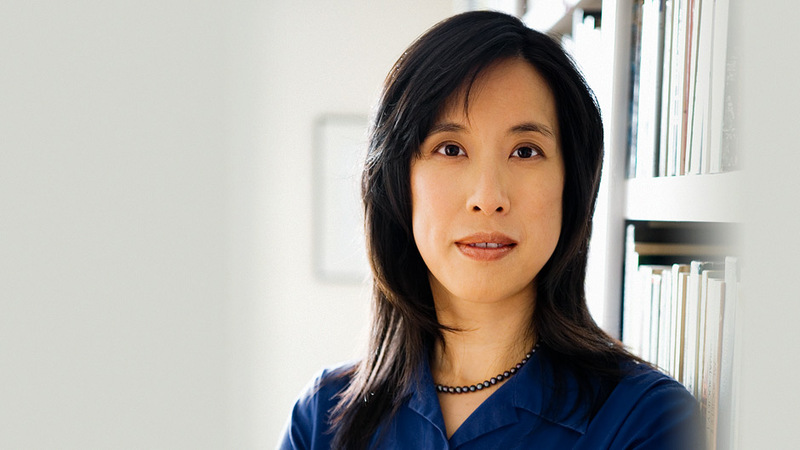 Pauline Chen is passionate about improving health care. Her particular concern is end-of-life (palliative) patient care. At the start of her book Final Exam: A Surgeon’s Reflections on Mortality, she asks: “Why are we so bad at taking care of the dying?” The answer is a powerful mix of factors: a professional culture that, despite being intimately familiar with death, shrinks from discussing it with patients; the systematic training of young doctors to compartmentalize and dehumanize the patient; and the patients’ indefatigable hope for recovery. Chen has made keynote speeches to groups specifically concerned with palliative care, but also speaks broadly about the health care industry. Through her practice as a transplant surgeon and her experiences of dealing with terminally ill patients, Dr. Chen came to understand that, commonly, doctors consider a patient’s death as a sign of imperfect care and thus a personal failure. Doctors strive to combat their patients’ sicknesses, but if the battle starts to become a losing one, then doctors do not prepare their patients for inevitable death. Instead, the battle for life and denial of death continues, with the frequent result that many patients die in a hospital’s intensive care unit while undergoing painful treatment rather than at home, with pain-management, and in peace. Dr. Chen wants to change this practice. 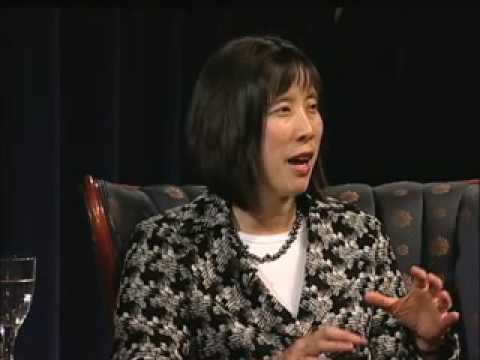 Pauline Chen was educated at Harvard University and Northwestern University Medical School and completed her general surgery training at Yale University. Dr. Chen is the recipient of numerous awards, including the UCLA Outstanding Physician of the Year Award in 1999 and the George Longstreth Humanness Award at Yale for most exemplifying empathy, kindness, and care in an age of advancing technology. She is a surgeon specializing in liver and kidney transplants and the treatment of cancer. The relationship between patient and healer has been the bedrock of healing since time immemorial. But in recent times and amid staggering scientific advances, there has been a growing rift in that once sturdy foundation, a widening fissure often caused by differences in how patients and the medical doctors who care for them speak to one another. How has language affected the care given and received? How did such a rift develop? And what might we all do to prevent the best intentions and greatest ideals from getting lost in translation? Pauline’s events were excellent! She was extremely well received by Quality Institute member organizations in the morning, and by Rossmoor community residents in the evening. Pauline did a wonderful job customizing her talks to the two different audiences. She also took plenty of time to answer questions from a personal perspective, and from a physician’s perspective. End-of-life conversations are a very difficult topic to broach, and Pauline did it beautifully, helping to further our goal of creating a culture change around this topic in New Jersey. People loved hearing Pauline share her experiences. In the two years I have been coordinating Grand Rounds, I have never seen the audience give the speaker a standing ovation. The residents were amazed at how sincere and approachable Pauline was during their mentoring session. She was spectacular! The students continue to rave about her, how kind she was, how approachable and how willing she was to share her story—to open up and be very honest with them. I was personally struck by how approachable she was—she was there as a fellow physician, welcoming new colleagues into the medicine family, sharing her time, talent, knowledge. Her presentation gave us all a glimpse into her life as a physician and I feel quite honored to have learned all that she shared. [Dr. Chen’s] talk was very well received… she was really able to get the audience engaged at the beginning of the day, which was great, and I know the discussions in her breakout group were also very interesting. She was definitely an integral part of the success of this conference. I also really enjoyed being able to spend that time with her; what a great person! Our event with Pauline on Friday went exceptionally well. She was inspirational and the comments I heard were all very enthusiastic. In medicine and medical education we often speak of the importance of role models. The keynote address given by Dr. Pauline Chen as part of the Spirituality in Medicine conference provided a glimpse into an extraordinary role model for all of us. Dr. Chen’s compassion and gentle nature was demonstrated through her stories, her discussions and her very presence. I feel blessed to have met her and to have been part of this important conference. Dr. Pauline Chen gave a genuinely moving and inspirational talk on how her patients and their families have touched her over the years. Her presentation brought the audience to their feet with a standing ovation. She is an outstanding speaker! On less than one day’s notice and immediately following a nor’eastern ice storm, Pauline Chen drove from New Haven to our community hospital in Middletown, CT to address a group of undetermined size and makeup. I was astounded that she would be willing to make this kind of sacrifice for folks she did not know. After hearing her speak, however, her motive became clearer. Dr. Chen is passionate about her cause; she is determined to share her most intimate reflections about her emotional experience as a physician with those who might be touched or changed. Our audience was in awe of her presentation. At several points during her recitation, I was convinced that the room was so quiet that others near me could hear my heart beat. Dr. Chen was disarmingly human as she described her emotional metamorphosis during her surgical career and the ethical, moral and emotional questions she has taken to heart, quite literally. My colleagues, seasoned psychiatric clinicians, surgeons, medical librarians, hospice staff, were stunned by her presence, her delivery and her message. We would love to hear her speak again in the near future. Pauline’s compelling and moving keynote address set exactly the right tone for our conference. She is a lovely, open person, also, and she spent a great deal of time with the many conference participants who wanted to talk with her after she spoke. Final Exam is a revealing and heartfelt book. Pauline Chen takes us where few do...Her tales are also uncommonly moving, most especially when contemplating death and our difficulties as doctors and patients in coming to grips with it. In graceful, lucid prose, [Chen] narrates key events through which medical students and trainees first encounter death and, ultimately, depersonalize it...Fresh and honest.